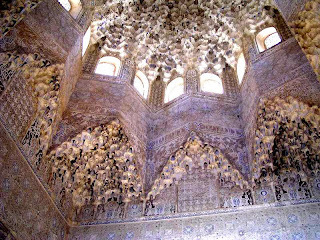 ...basking under my yellow sky...: The Wisdom of Alhambra Mosque Revealed! 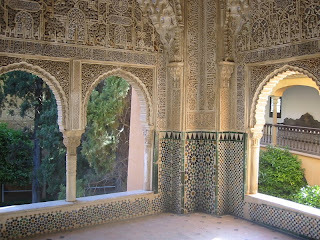 The Wisdom of Alhambra Mosque Revealed! 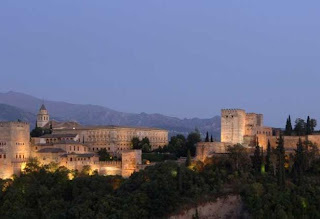 Granada's fortress-palace built by Spain's medieval Moorish rulers, has always fascinated visitors. 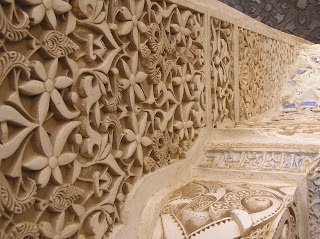 But what messages do its intricately carved walls hold – poetry, philosophy or piety? 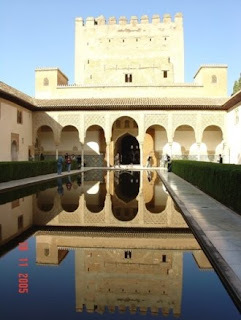 "There's perhaps nowhere else in the world where gazing upon walls, columns and fountains is an exercise so similar to turning the pages of a book of poems," says Juan Castilla, from the School of Arabic Studies at Spain's Higher Scientific Research Council. 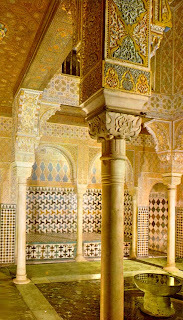 The motto of the Nazrid dynasty – "There is no victor but Allah" – is repeated hundreds of times on walls, arches and columns. 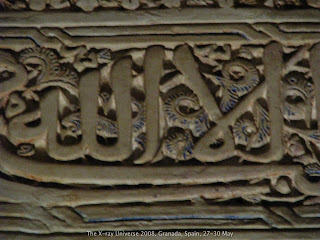 Isolated words like "happiness" or "blessing" recur, seen as divine expressions protecting the monarch or governor honoured in each palace or courtyard. Aphorisms abound: "Rejoice in good fortune, because Allah helps you," and "Be sparse in words and you will go in peace." 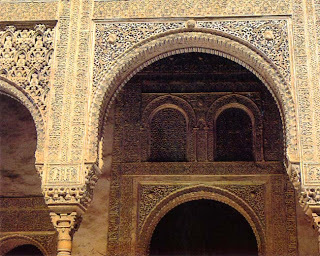 For centuries scholars spent half their life, and ruined their eyesight, scrutinising the messages embedded in the geometric tiles or finely carved in the stonework. Among them are verses by the acclaimed Islamic poets Ibn al-Khatib and Ibn Zamrak, some of which describe the place where they appear, such as the Hall of the Two Sisters, which represents a garden: "Moreover we do not know of any other garden/more pleasant in its freshness, more fragrant in its surroundings,/or sweeter in the gathering of its fruits..." wrote Ibn Zamrak. 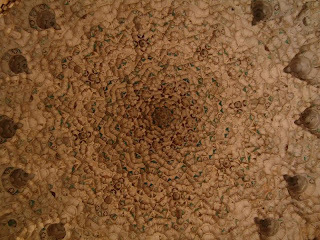 The ceiling represented heaven: "The hands of the Pleiades will spend the night invoking/God's protection in their favour and they will awaken to/the gentle blowing of the breeze./ In here is a cupola which by its height becomes lost from/sight..." the poet wrote.